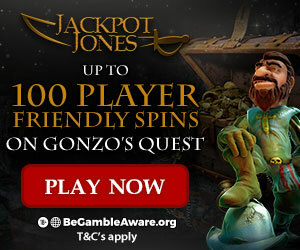 Claim 100 Player Friendly Spins (Just 1x Wagering) On Gonzo’s Quest At Jackpot Jones Casino! Slots players prepare yourselves because you’re about to go on an adventure with Jackpot Jones. 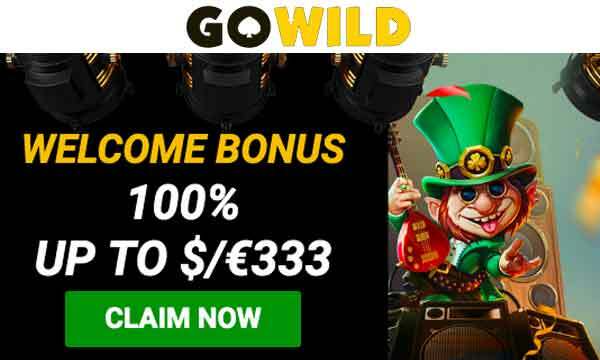 This new online casino is packed full of the most famous slot games and you can claim 100 low wagering free spins on the popular slot Gonzo’s Quest! First Deposit – Make your first deposit and get 10 spins on Gonzo’s Quest. 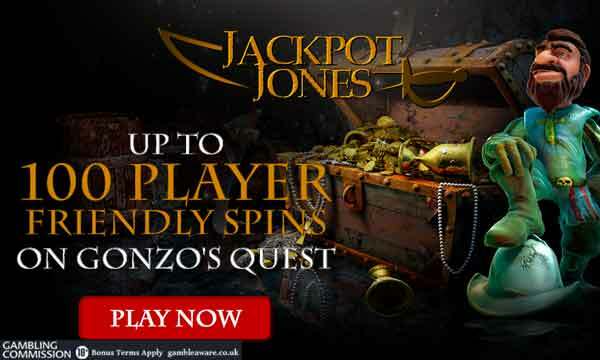 Second Deposit – Deposit between £10 & £24 to receive a bonus of 10 Bonus Spins, £25-£49 to get 25 spins or £50+ for 50 spins on Gonzo’s Quest. 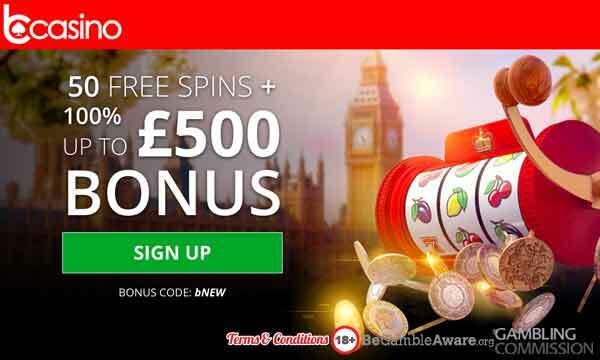 Third Deposit – Deposit between £10 & £24 to receive a bonus of 10 Bonus Spins, £25-£39 to get 25 spins or £40+ for 40 spins on Gonzo’s Quest. Minimum deposit to claim a bonus on each of your first 3 deposits is £10. 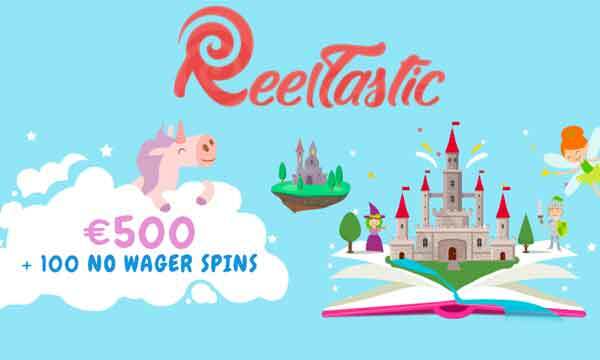 The reason that the free spins bonus is described as player friendly spins is as follows: All winnings earned from the spins will be rewarded in bonus funds and carry a wagering requirement of 1x the total bonus amount earned. So, the spins are not quite wager free but they are as close as they can be with just 1x wagering. For example, free spin winnings of £10 would have a wagering requirement of £10 before converting into cash. You win some, you lose some – but at Jackpot Jones you get an insurance policy. Every week, loyal players will get 10% of their losses back up to £250. Nice touch! Every Wednesday, when you deposit £20 or more you will get 20 spins on a selected slot! Each month Jones’ selects a different game for this promotion. Every Tuesday, Jones randomly selects 5 players to a prize of £10 free to play at the casino. Jackpot Jones has a reputation for offering a first class experience to players in their VIP Club. With an invite to the club, you’ll have access to an individual customer service experience, bespoke rewards and bounty bonuses! 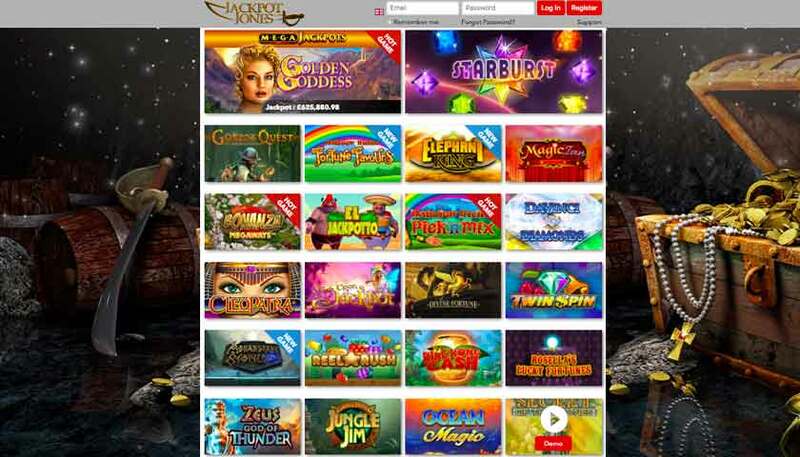 When you land on the Jackpot Jones home page you’ll notice the fantastic selection of games they have on offer for their players. It’s all about the slots and jackpots on this site. Some of the top titles include: Golden Goddess, Bonanza, Elephant King, Cleopatra, Divine Fortune, Twin Spin, Jungle Jim and of course, Gonzo’s Quest. All these games are supplied by the worlds leading software developers. Expect top titles from the likes of: NetEnt, Microgaming, Big Time Gaming, NYX, IGT and Quickspin. Jackpot Jones is the perfect place for playing slots and jackpot games on your mobile. The platform has been specifically designed with this in mind, although you can also play on desktop and tablet. You can even make deposits using your mobile phone bill. The site looks great too with sharp graphics and a very easy to use interface. The bonus structure here is not one that is found at many casinos, but they are growing in popularity. The free spins earned only have a 1x play through requirement before you can make a withdrawal. Meaning no unachievable wagering requirements – the bonus really is a bonus! You can contact the customer service team via live chat, email or phone and agents are available between 8am and midnight GMT/BST. Jackpot Jones holds licences with the UKGC and the GGC. You can make deposits using Maestro, Visa, Paysafecard, BOKU, Skrill, Neteller, Zimpler and Trustly. Jackpot Jones is a good quality casino for mobile players. The wagering terms on the bonus are very favourable compared to other casinos and for that we commend them!